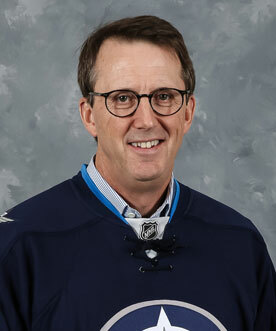 Mark Chipman serves as the Governor of the Winnipeg Jets on the NHL Board of Governors, as well as Chairman of the Board for True North and Winnipeg Jets Hockey Club. Mark’s interests in sports and entertainment formally began in 1996, as an instigator and part-owner responsible for the purchase of the Minnesota Moose, a franchise in the International Hockey League (IHL), and providing professional hockey to Winnipeg, after the Jets departure in 1996. Mark was named the new franchise’s President and Alternate Governor as the Manitoba Moose began playing in the 1996-97 IHL season. At the end of the 2000/01 season, Mark represented several former IHL members through negotiations that ultimately led to the acceptance of six IHL teams into the American Hockey League (AHL). He was a member of the AHL’s executive committee and served as the chairman of the league’s strategic planning committee during the crucial time surrounding the uncertain NHL labour situation. At the conclusion of the 2004/05 season, Mark was honoured with the AHL’s James C. Hendy award as the league’s top executive as he spearheaded the private sector group which oversaw the successful completion and opening in November 2004 of the new state-of-the-art Bell MTS Place entertainment complex in Winnipeg. Born and raised in Winnipeg, Mark attended the University of North Dakota where he lettered in varsity football while earning an Honours B.A. in Economics and a Juris Doctorate Degree in Law. He also holds the position of President of the Winnipeg-based Megill-Stephenson Company. In addition to his business and hockey interests, Mark is actively involved in a number of Winnipeg community efforts, including playing major roles in the events of the True North Youth Foundation, formerly the Manitoba Moose Yearling Foundation, since its inception in 1996.